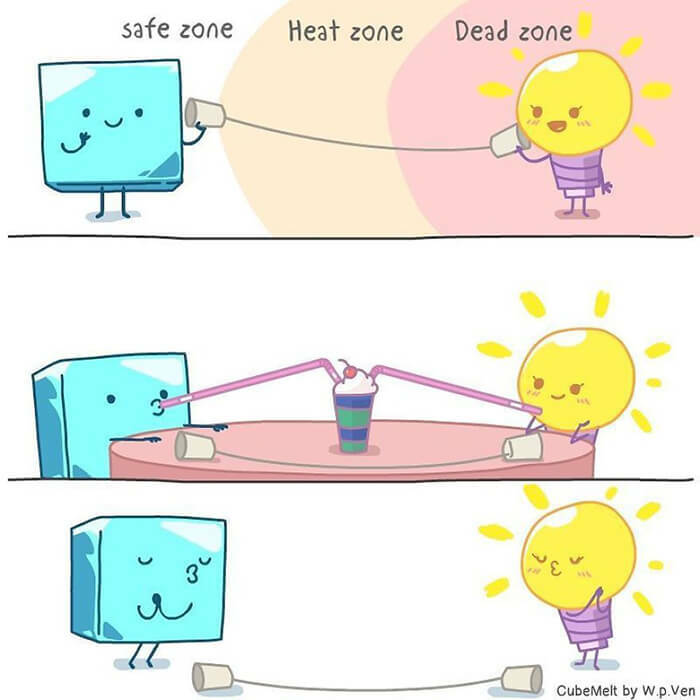 When get lost on where his work was taking him and did not know what he should be focusing on to establish his career at the age of 36, Peng Ven Wong felt his life melting away like ice cubes. 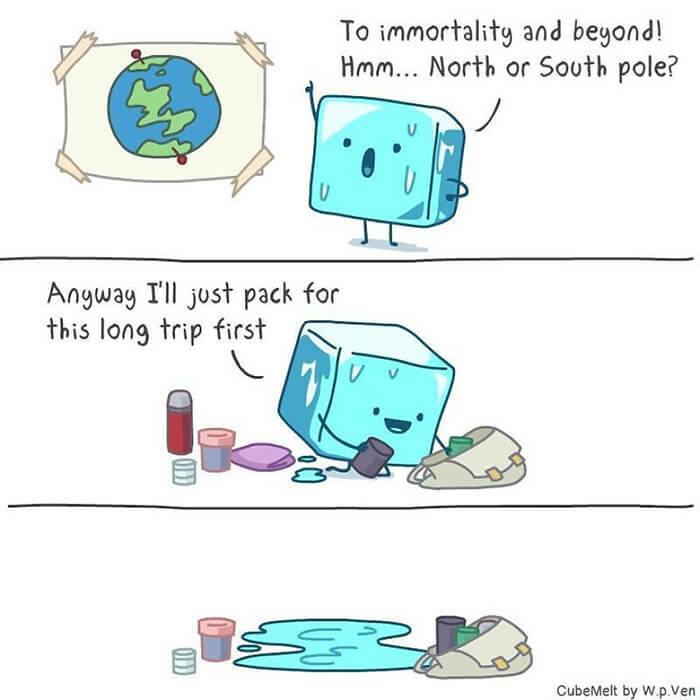 Then he started to ask himself, what would an ice cube do given its short lifespan? 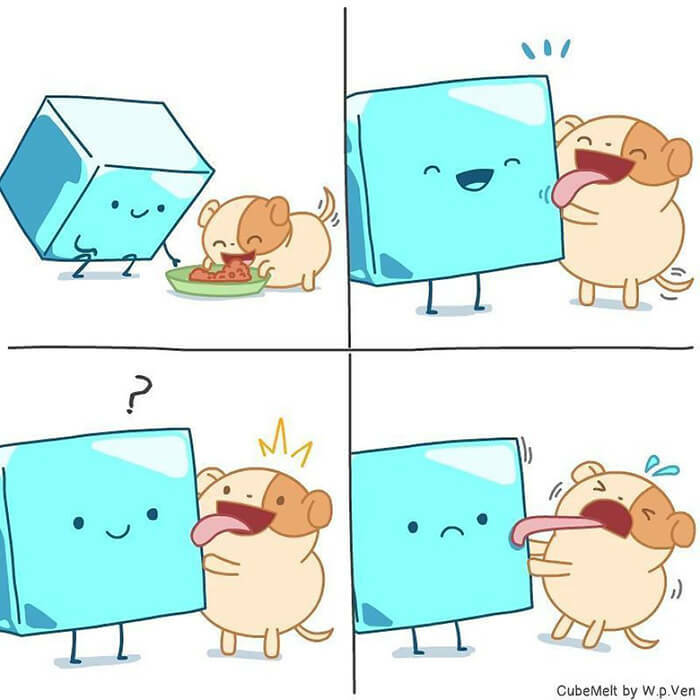 That was the moment when CubeMelt was born. 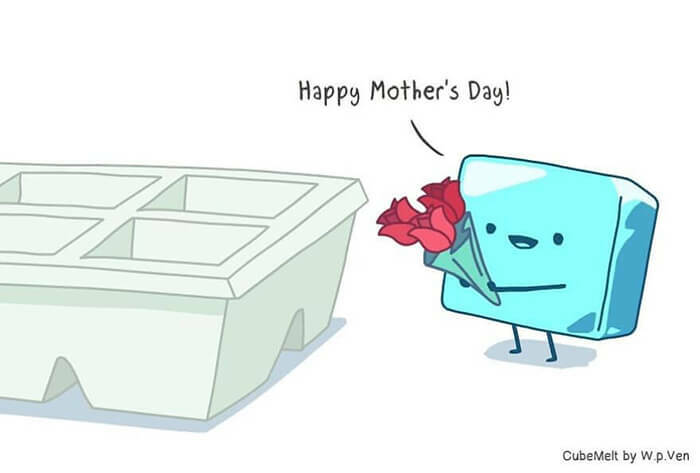 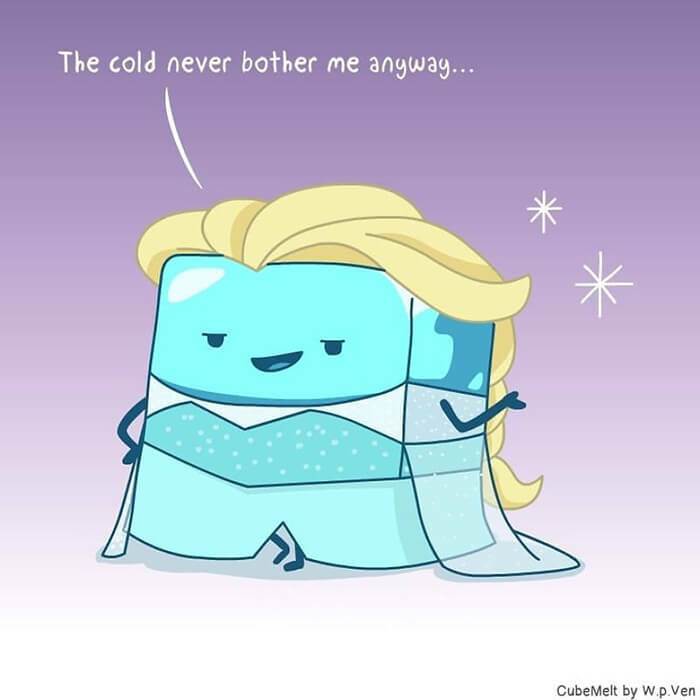 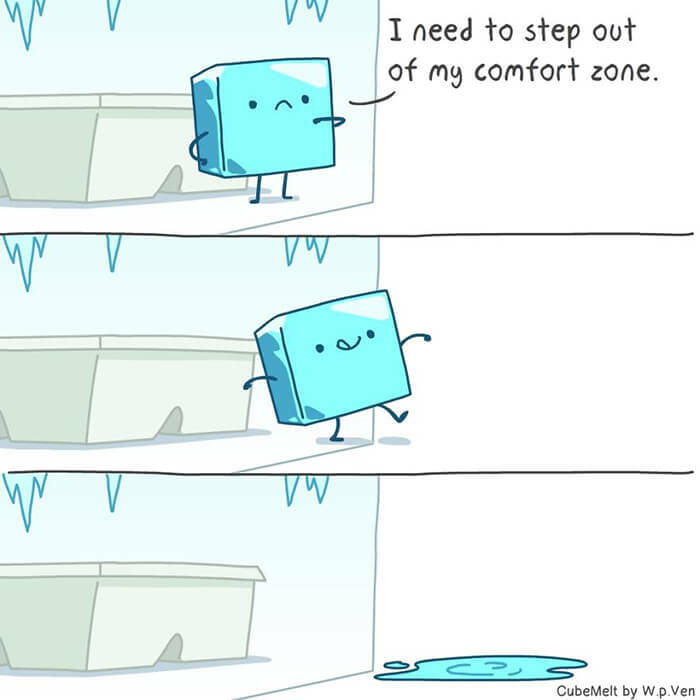 CubeMelt is a living ice cube with a wholehearted and ‘can-do’ attitude. 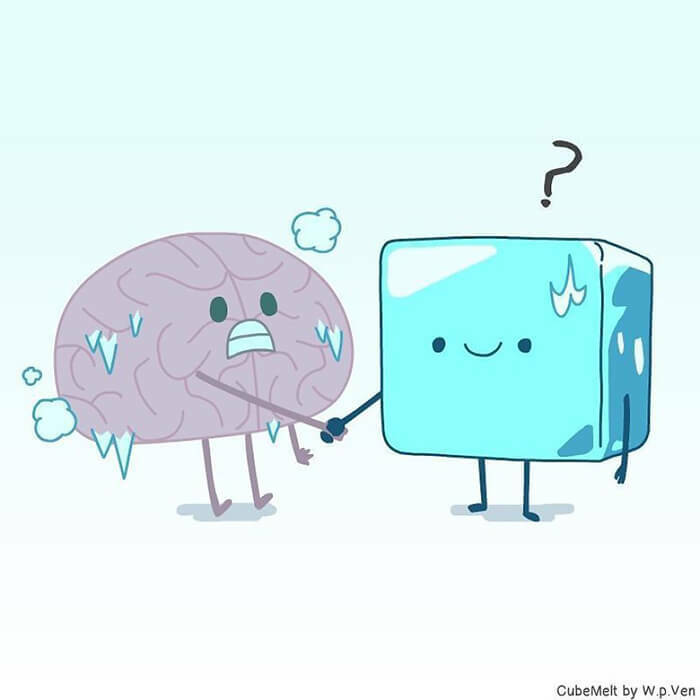 The philosophy of Cubemelt is “life is short”. 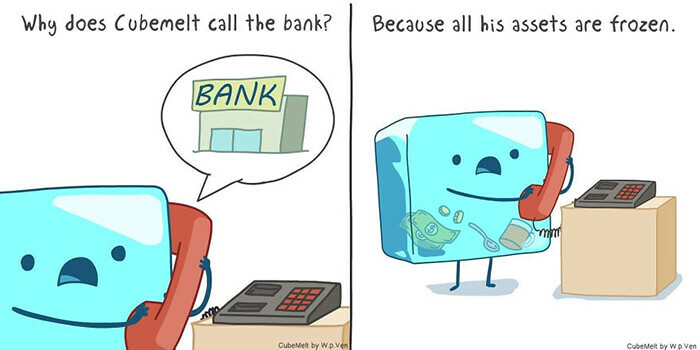 It begets the question of how we are spending each day of our lives. 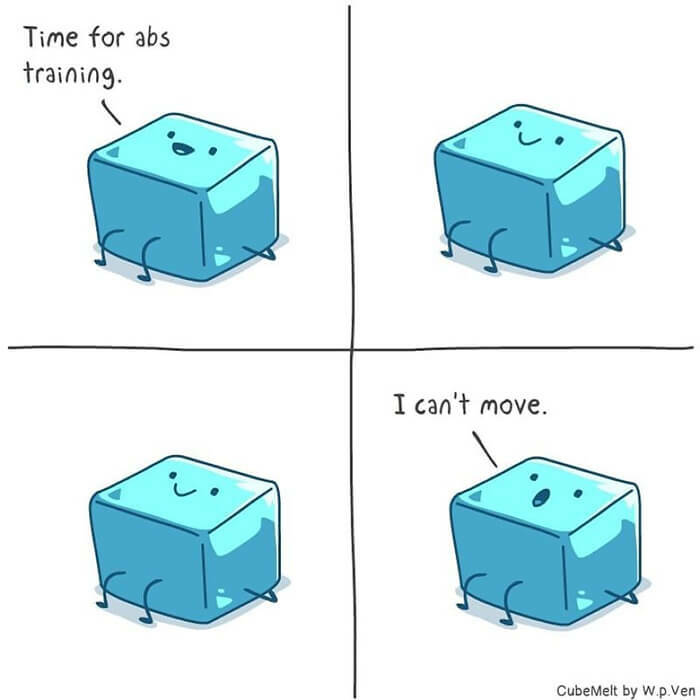 He’s excited to get out of his ice tray every day. 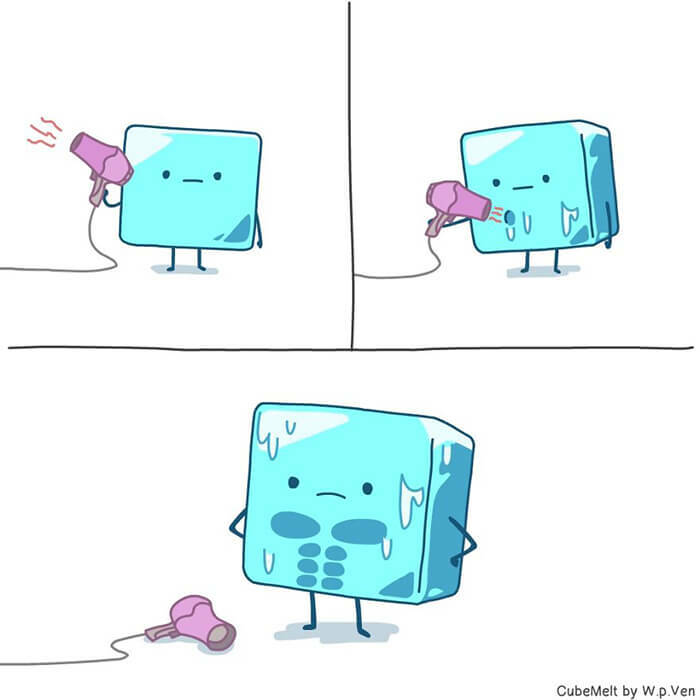 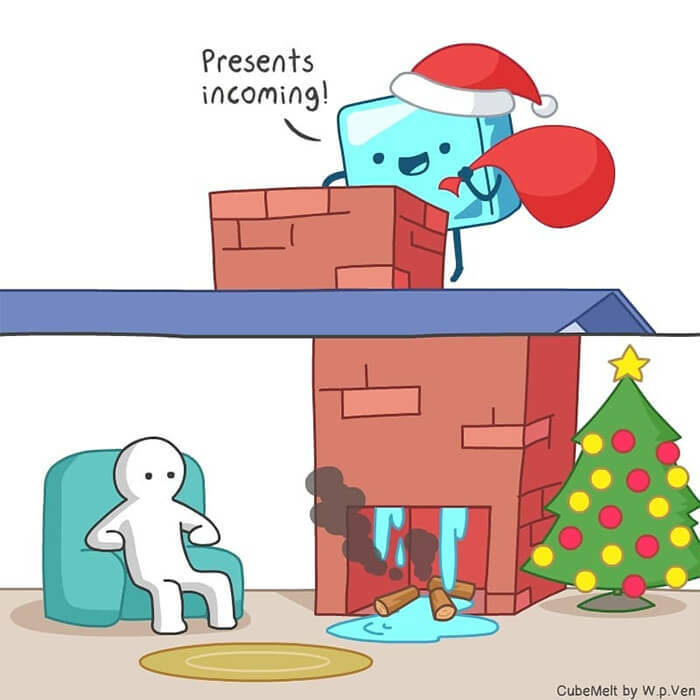 Problem is, he starts melting the moment he’s out of the freezer, so lengthy tasks are the literal bane of his existence. 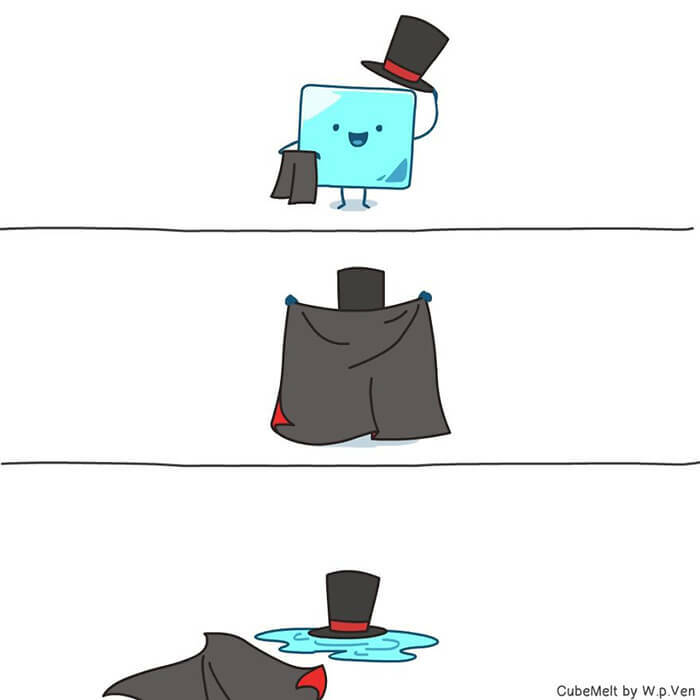 The spot of water he’s reduced to invokes laughter, pity, wonder and unexpected blessings to those around him. 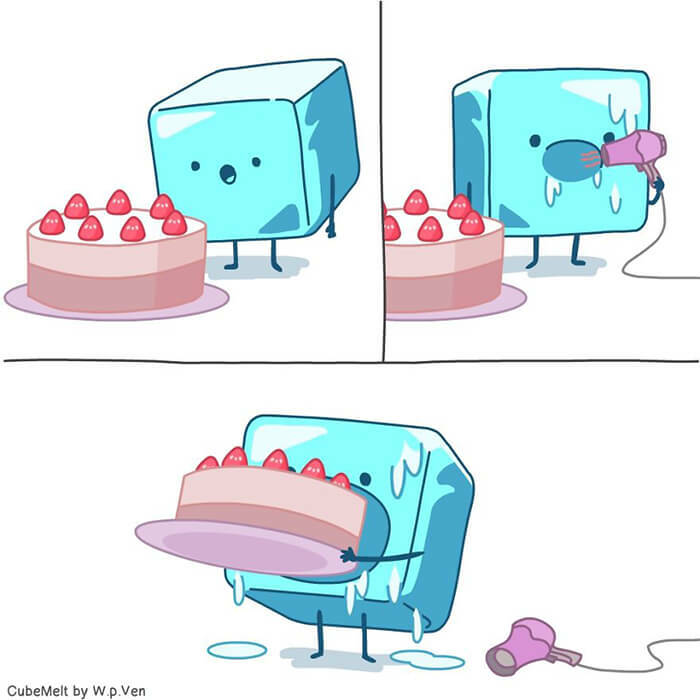 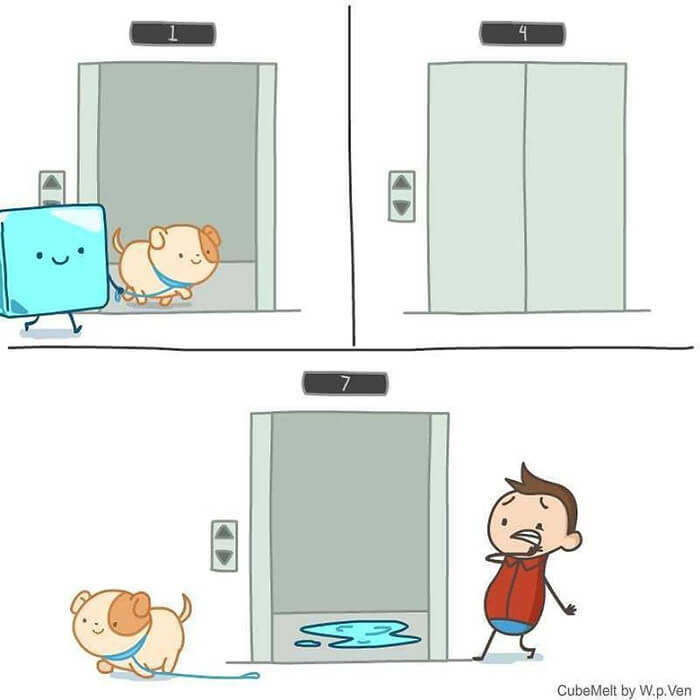 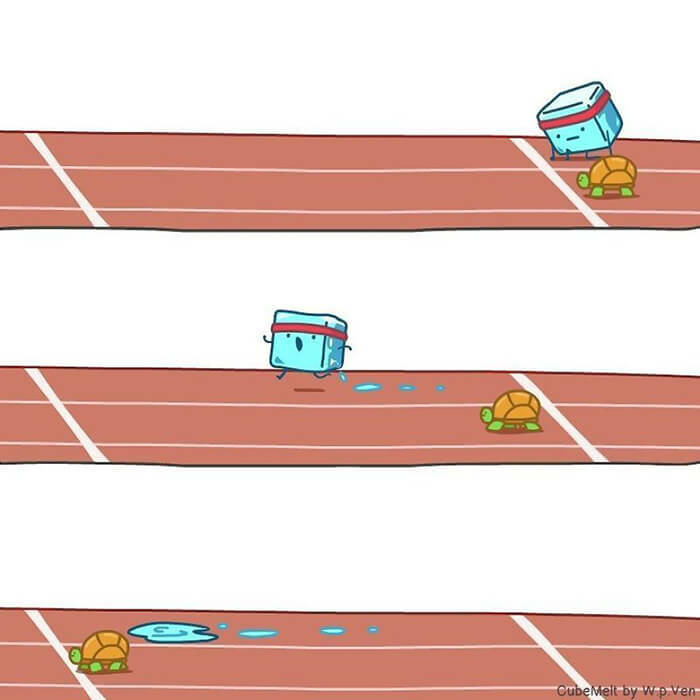 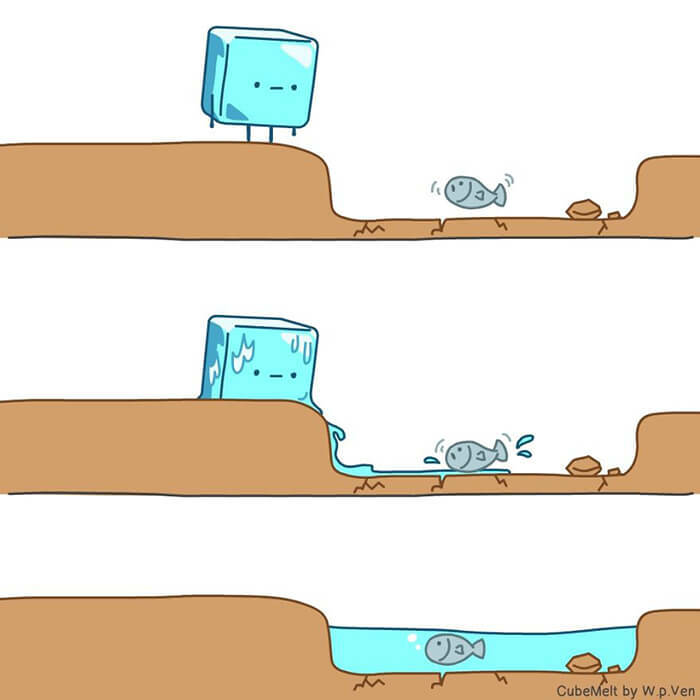 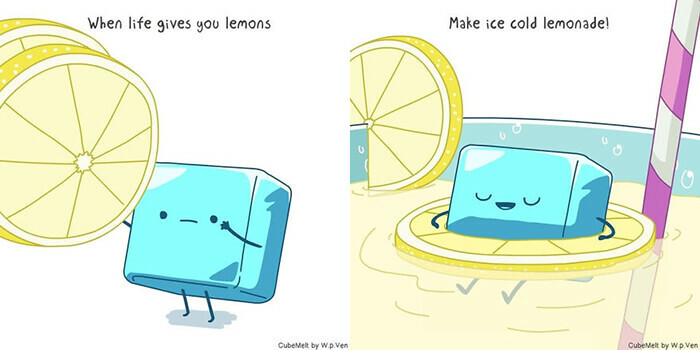 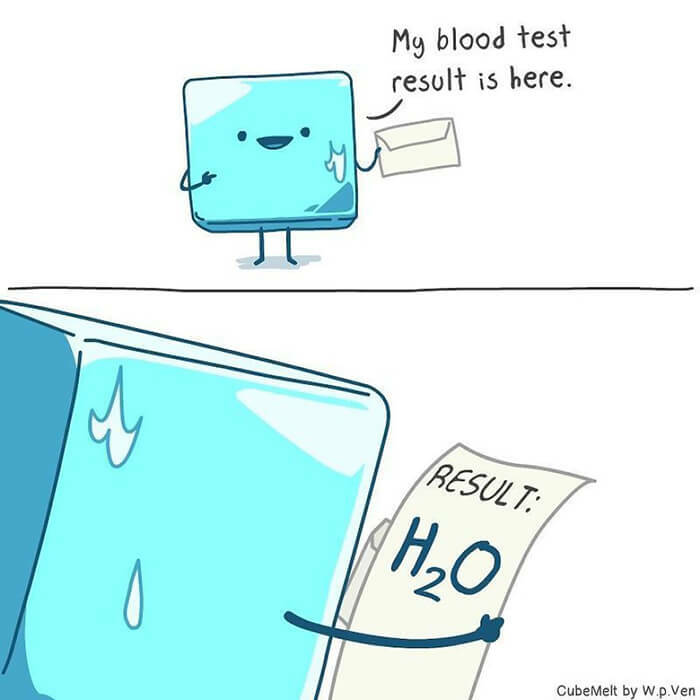 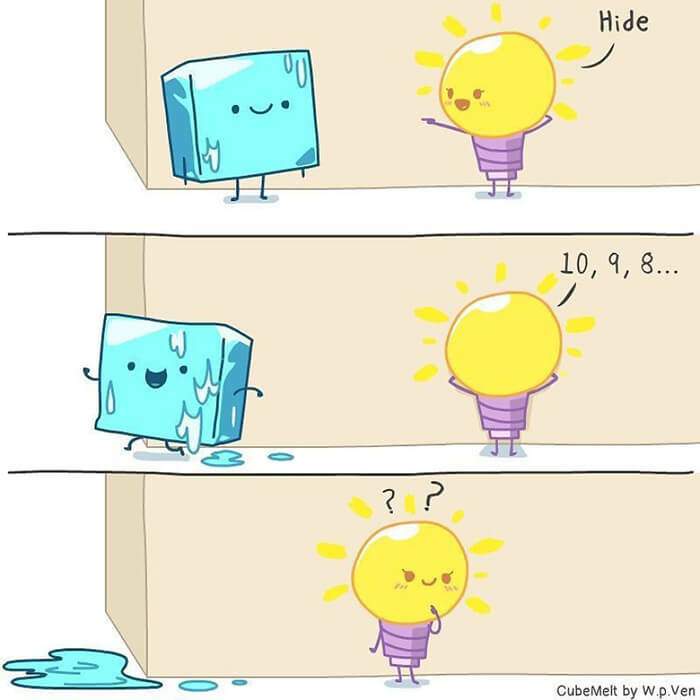 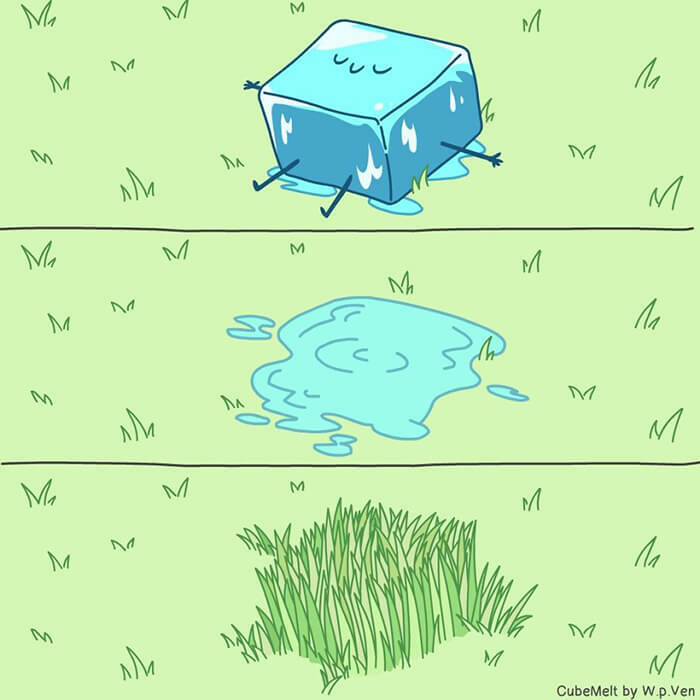 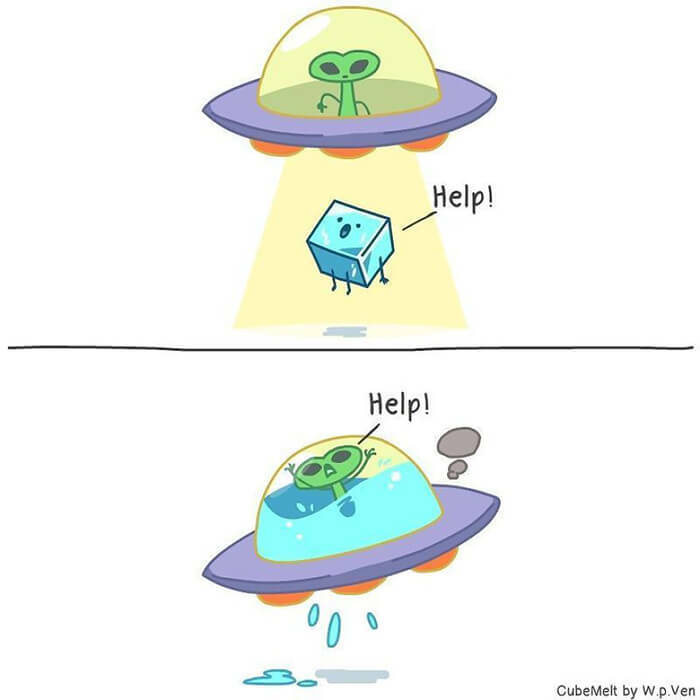 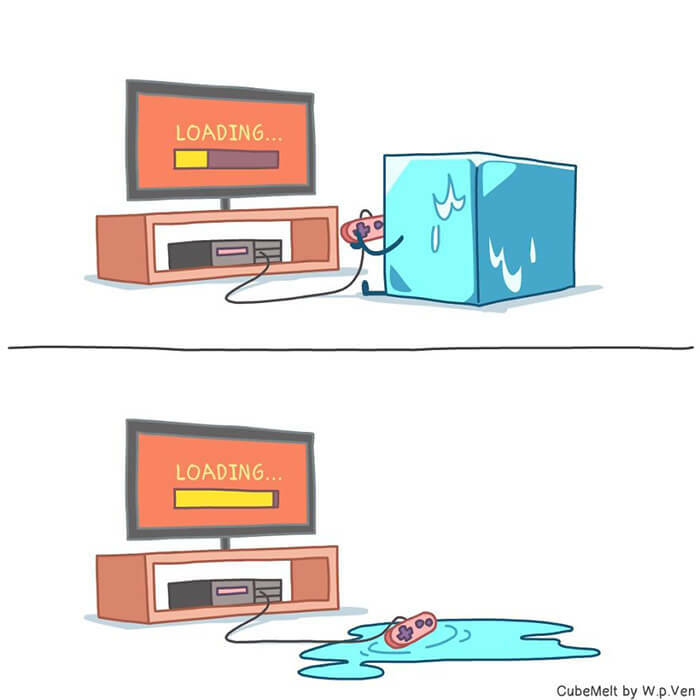 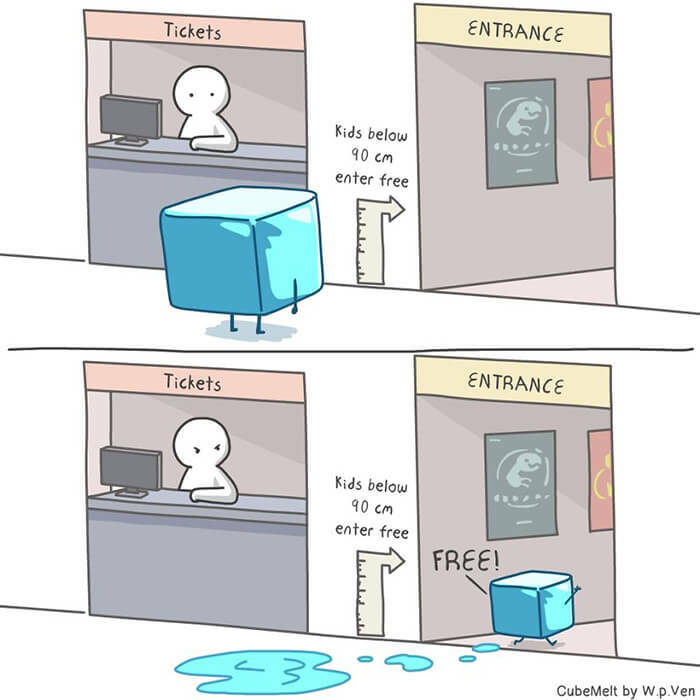 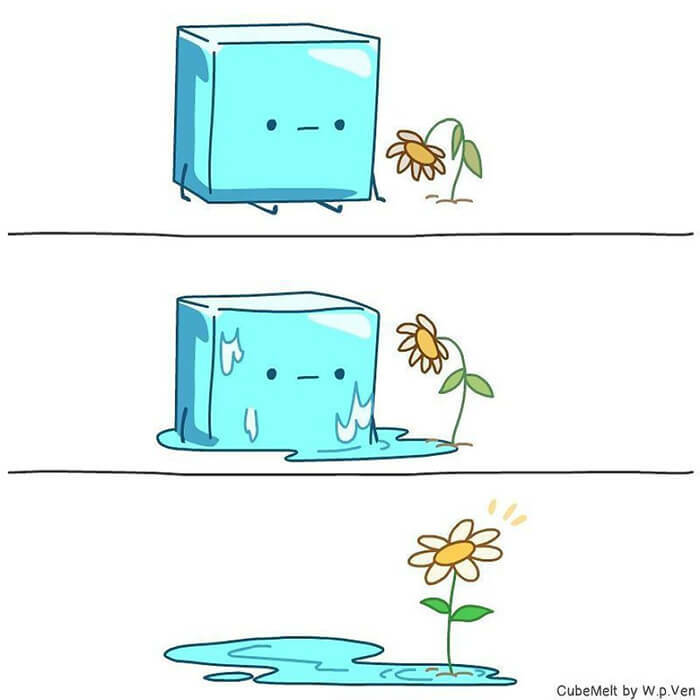 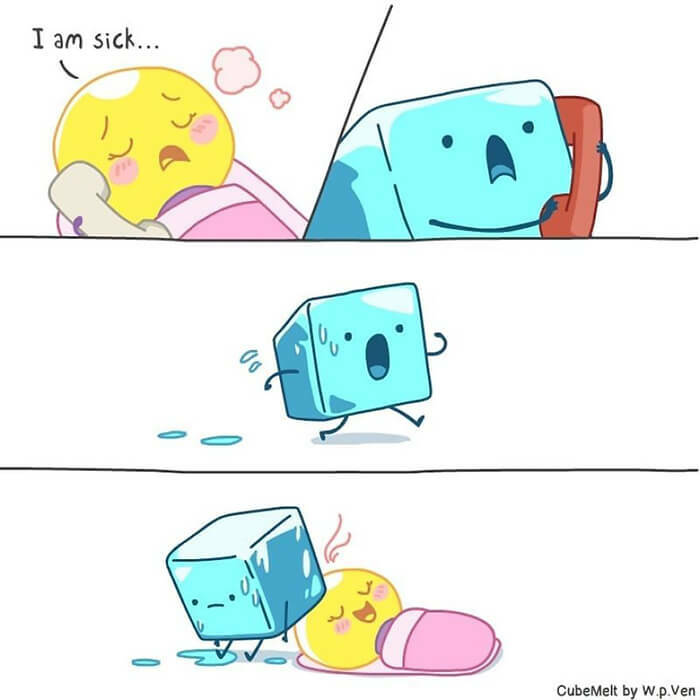 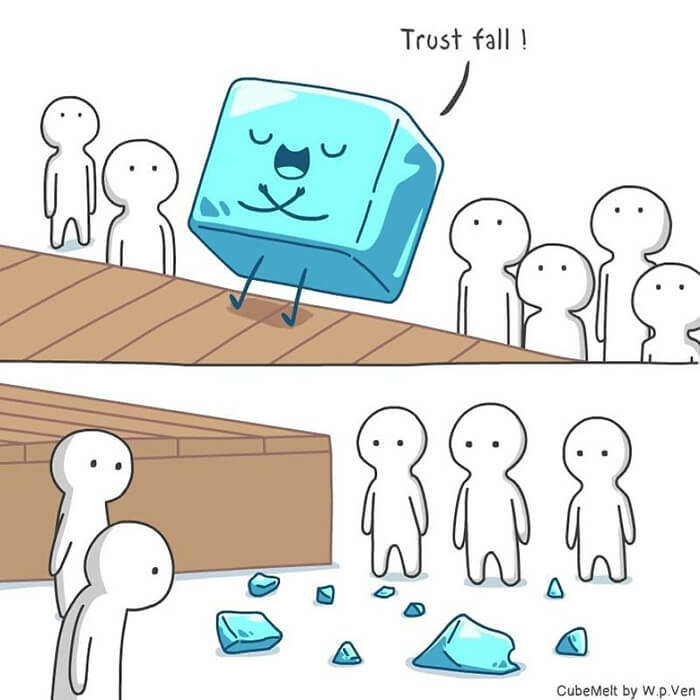 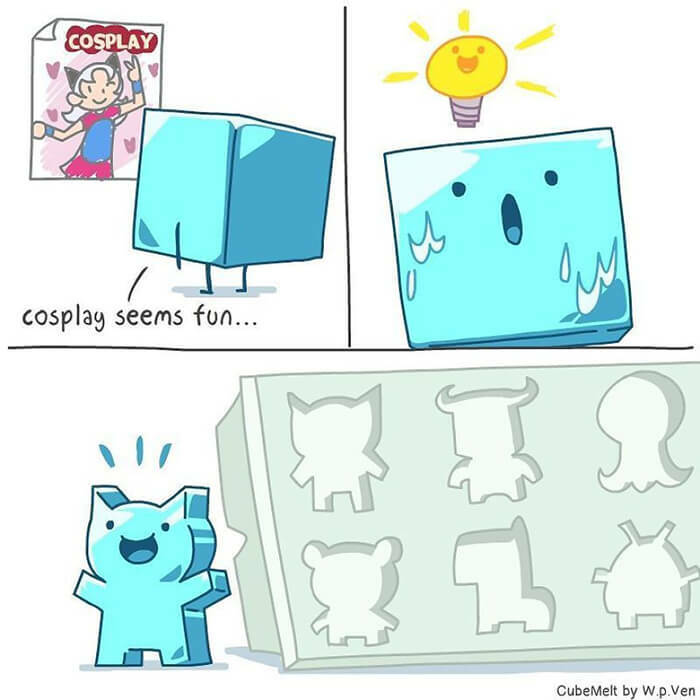 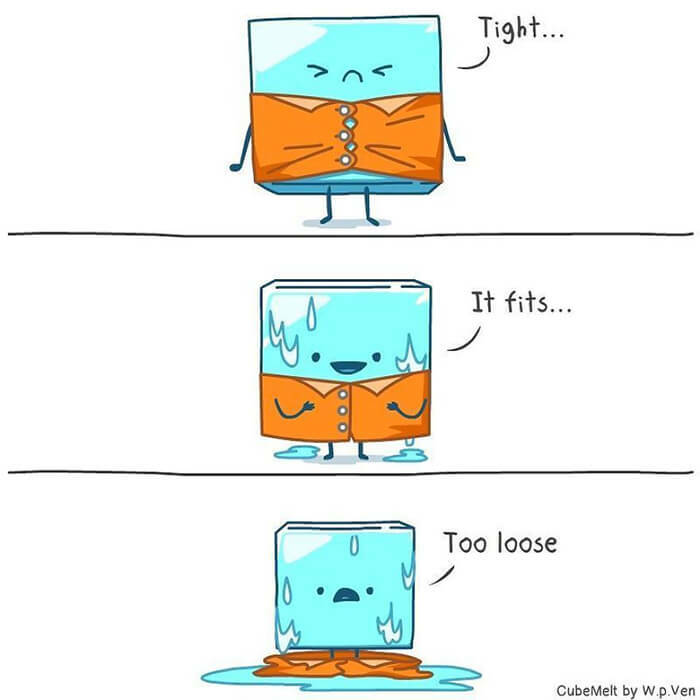 Take a loot at the adventures of an adorable ice cube. 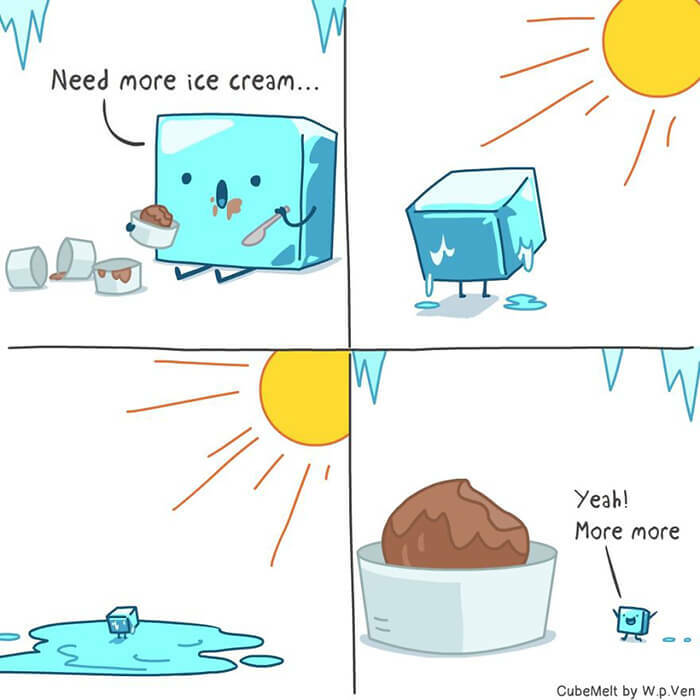 Just remember, we are melting, some faster than others, but it’s not the duration but the value we bring that matters.